The popularity of bath bombs has really exploded in recent years. The idea of making a bath as an adult, throwing in something that does wonders for your skin and looks cool is something that has a certain appeal. It’s nice to take the time to relax in a world with a ton of stress. And it turns out even bath bombs can be geeky. The people over at GeekyClean.com were gracious enough to send us six of their geek-themed bath bombs for review and since this is the easiest way for me to relax these days, I was all in. 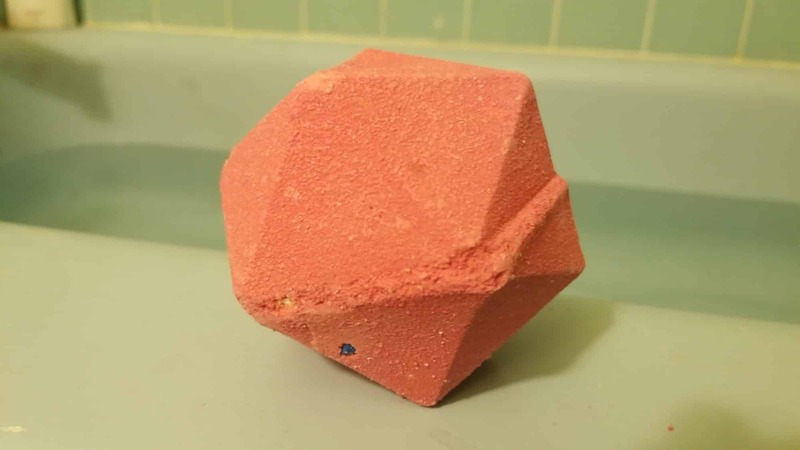 The first one we have is a giant D20 bath bomb. 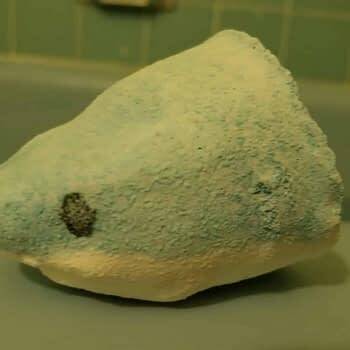 This bomb was much bigger than any of the other bath bombs that GeekyClean sent me, so I was expecting to take a long time to dissolve. It didn’t take that long, but it did dissolve at a nice rate. This one is Cherry Lime and was probably the strongest of the six bombs. It was almost too strong, to the point where I had to crack a window open. 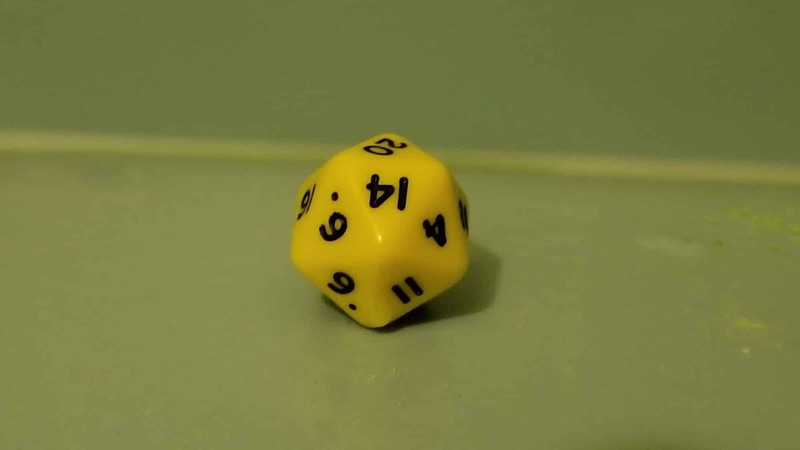 There is also a little surprise that fell to the bottom of my tub which is a full set of D&D dice. As someone who didn’t actually own a full set, this was quite exciting. 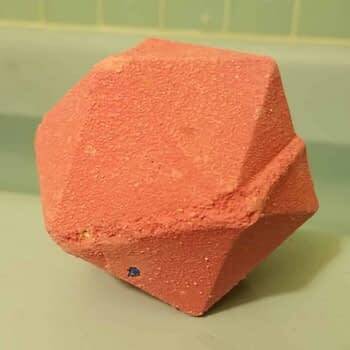 This wasn’t a multi-color bomb and turned my tub bright pink. There didn’t appear to be any residue left behind. 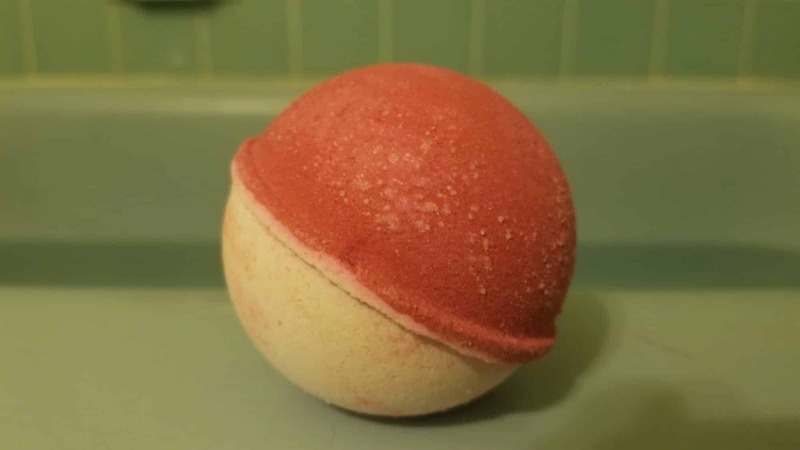 Next, it’s time to catch them all with a pokemon themed bath bomb. This is a normal sized bath bomb that smells very tropical. This time the smell wasn’t too overwhelming though the GeekyClean bombs in general tend to be stronger than other products I’ve used. This was a simple little dissolve that was white and red which turned the water of my tub to pale pink. Out of all of the bombs that GeekyClean sent this is one I could see myself using again. 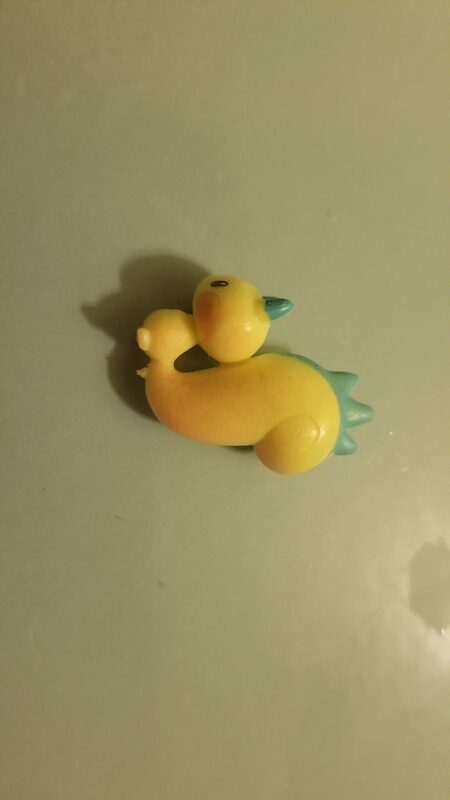 Plus I’m one step closer to catching them all with a new little toy that came out of this bath bomb. This would also be a fun one for kids since it really does look like a Pokeball before you drop it in the water. The Golden Dragon egg was a bomb I was hesitant to use. It was very glittery and I was worried both I and my tub would be covered in glitter and there are few things harder to get rid of than glitter. 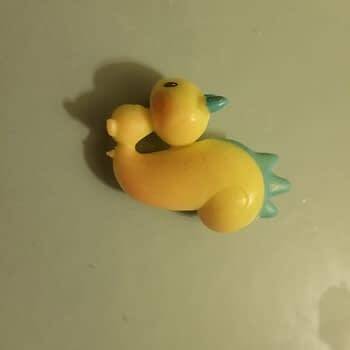 It was also the most fragile of all the bath bombs and I was worried I was going to break it when I took it out of the packaging. 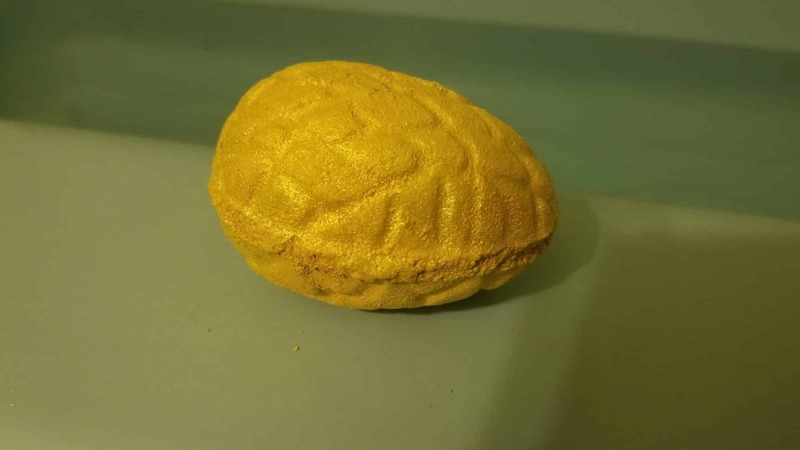 This is a very glittery bath bomb that turned my water a pale gold. The water shimmered and it was quite pretty to look at. This one is for fans of blood oranges and oranges in general and it was probably the most subtle of the scents. As far as glitter goes I did have some on my skin after I got out and a bit of residue left on my tub. This is one best left for a day you have time to rinse off afterward. Shark attack! This is one of my favorite bombs from GeekyClean mostly because I love the concept. This bomb is shaped like a shark and his name is Bruce. 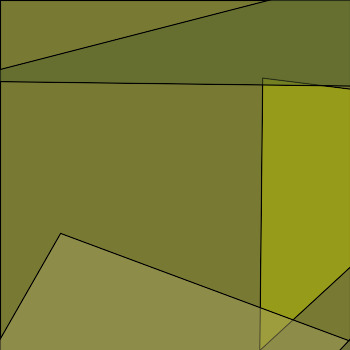 This is another orange-based bomb mixed with spaces and patchouli. When you drop this one in it starts off a little white and blue but soon a blood red center emerges which eventually turns the water pink. Out of all the bombs, this one was the most fun to watch dissolve and the little shark design is a lot of fun. There isn’t anything fishy about this little guy and just look at him. He’s kind of cute. Finally, there was the D20 whip bomb. 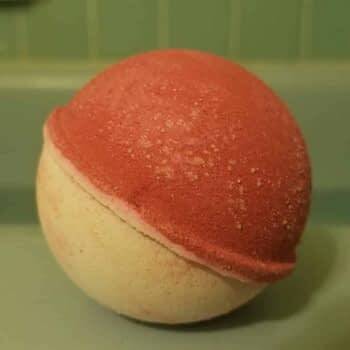 This is another bath bomb where you’re getting a little prize to go along with it. 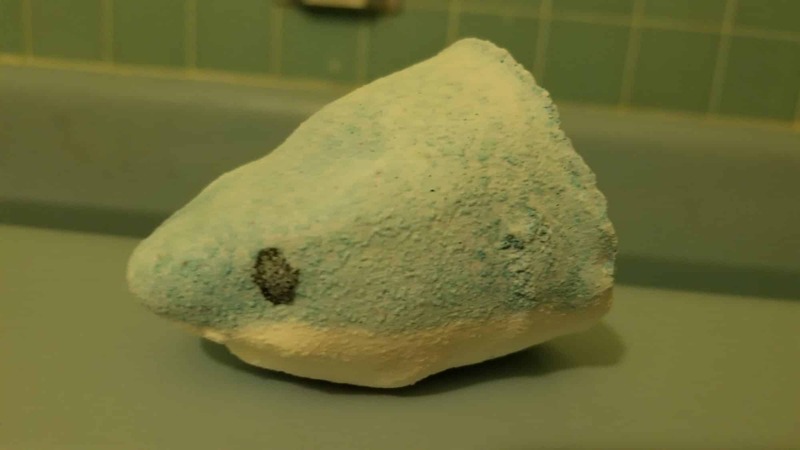 However, you also know what you’re getting since you can see it when you look at the bath bomb. 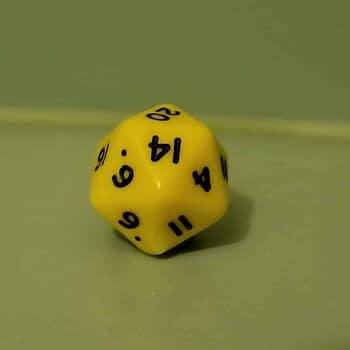 It’s another D20 dice to go along with the set you might have gotten from the other bomb. 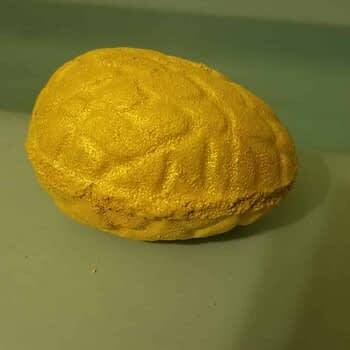 My dice was yellow but according to the site, there is a large variety of dices you could potentially get from this bath bomb. This was another strong scent but a good one if you’re looking for something a little different. This one is blackberries and Bramley apples. The water turned a nice green color and like the other bombs of this size it had a decent dissolve as well. Overall, I was pretty pleased with the GeekyClean selection of bath bombs. Their scents are very strong and while they didn’t make my skin super soft it certainly helps. It’s nice to see the overlap between being a nerd and doing something that is usually considered very girly. 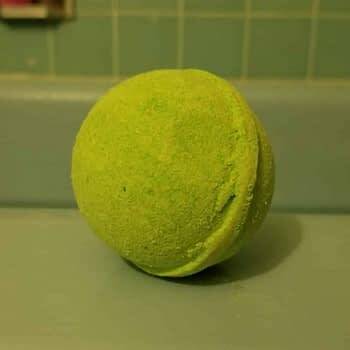 There are several bath bombs that would be a lot of fun for kids and the price is pretty decent. However, you should expect a rather long shipping time if you’re buying this outside of the United Kingdom. 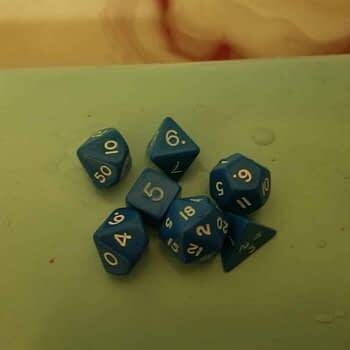 If you’re looking to combine your love of being a nerd and relaxing after a hard day you should check out the various bath bombs and other products over at GeekyClean.